Valentine’s is just around the corner. 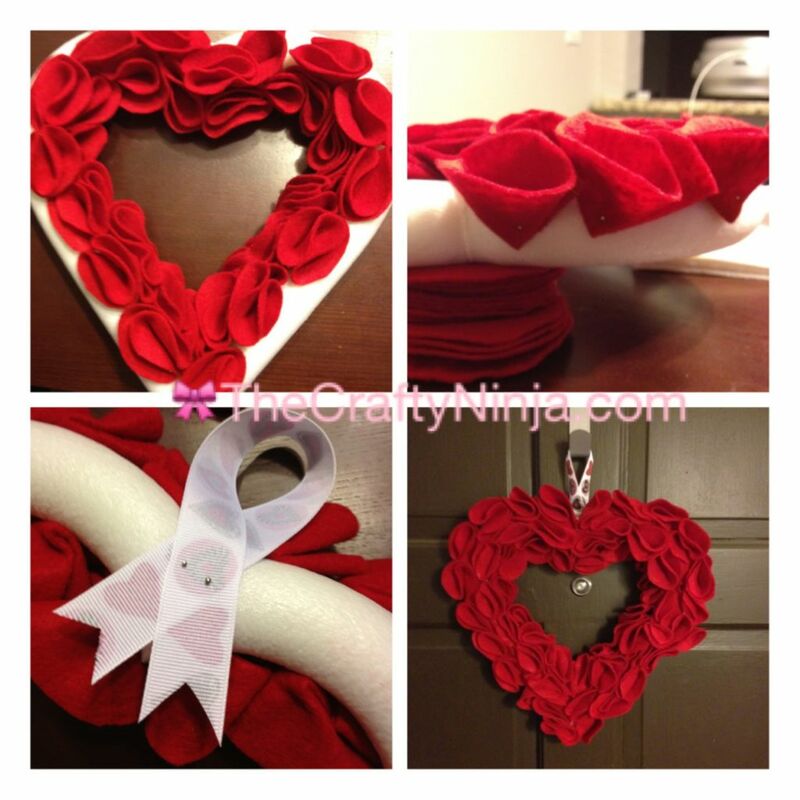 Here is a DIY tutorial with step-by-step instructions on how to create a Valentine’s felt flower wreath perfect to hang over your door. 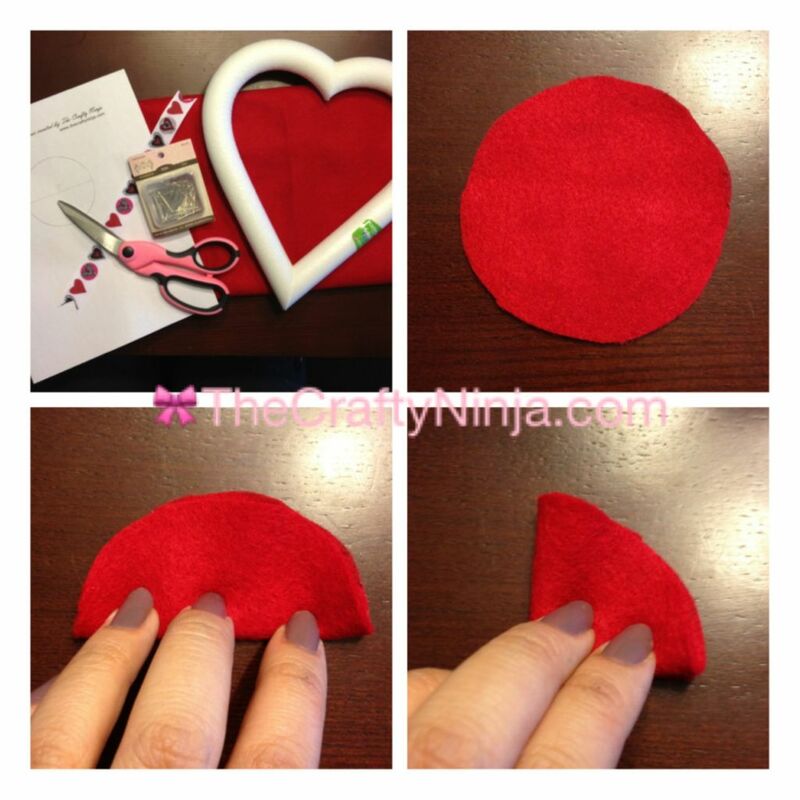 The supplies needed: 1/2 yard of Red felt fabric, Scissors, Ribbon, Straight pins, Styrofoam heart, and a 3″ circle template here. First trace the template on the felt and cut out the circles. To create the felt flowers fold the circle in half, then half again into fourths. This should form the flower shape. The flower should be formed and the straight pin should be put through the bottom point. Start from the inside of the heart Styrofoam and overlap the felt flowers. Then add the felt flowers to the middle section, and lastly on the outer edge of the Styrofoam. 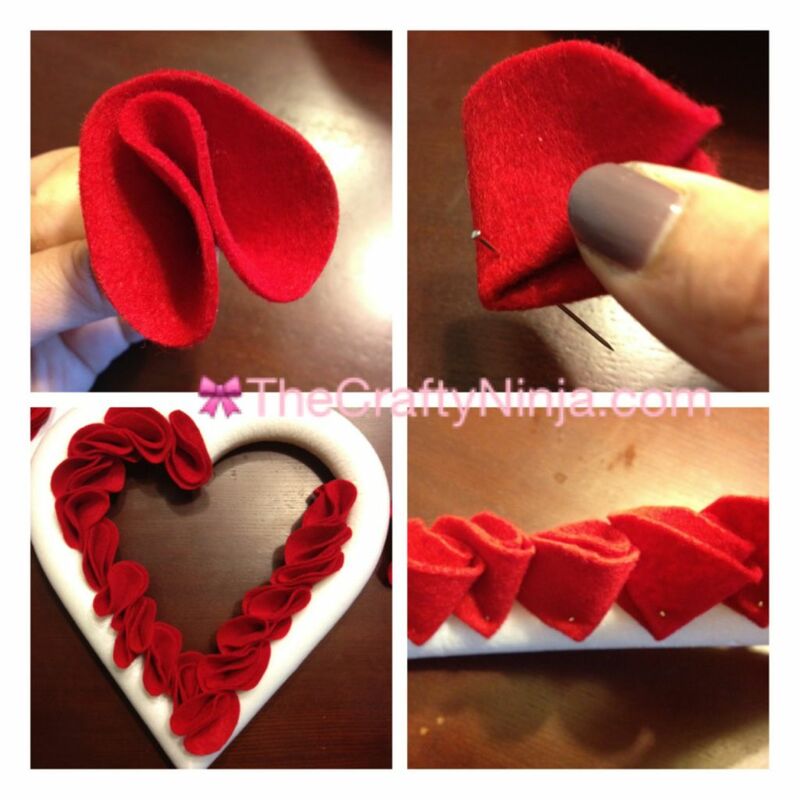 Add the ribbon to the back with two straight pins and your done! 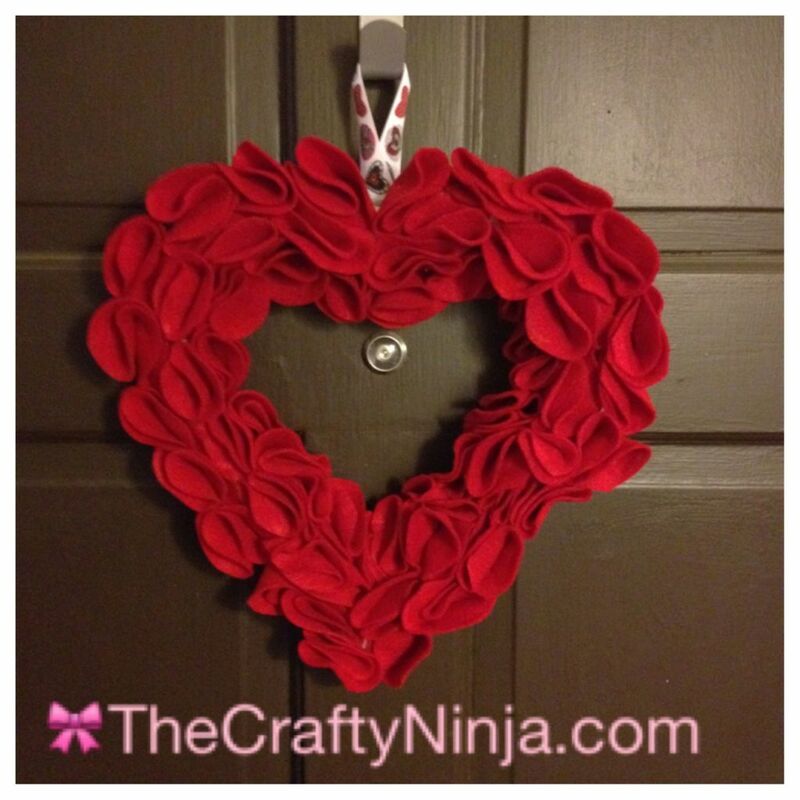 Hang on your door for a beautiful Valentine’s Flower Wreath! Happy Valentine’s Decorating!